← Needle and Thread Thursday…. 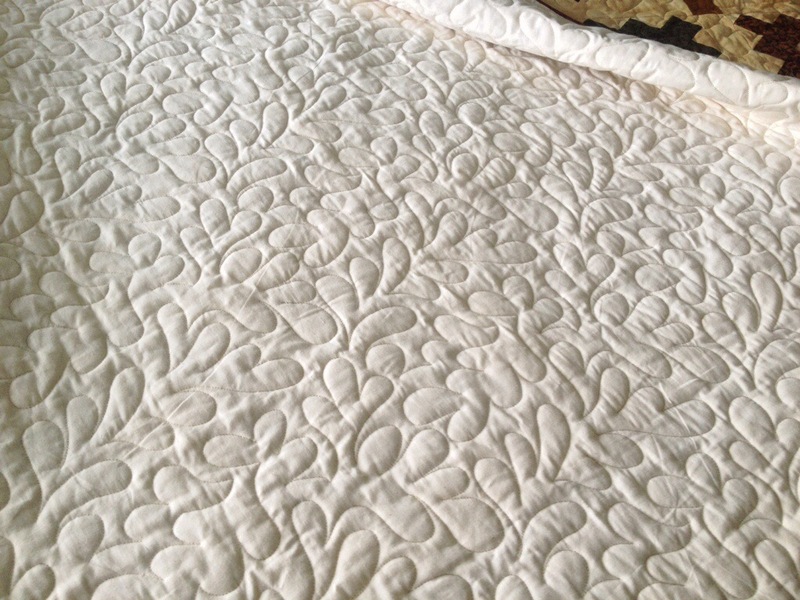 Finish it up Friday, Q2 FAL 2014 and Blogger’s Quilt Festival! This post has been a long time coming! I actually finished this a week ago but waited to post until now as I will be gifting it this weekend. I am so happy to say that the Album quilt is done! Daughter #3 took the pictures above for me. 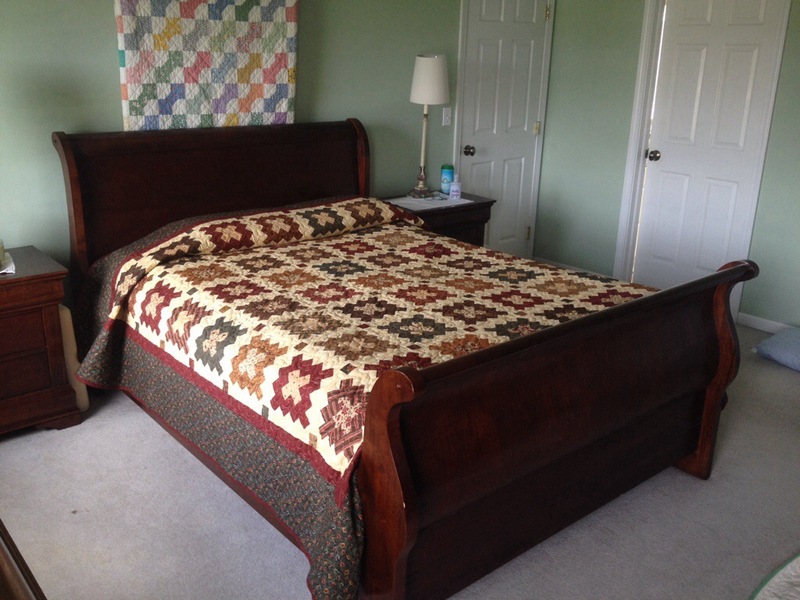 This quilt measures 96″ x 106″. I started it in February of this year. 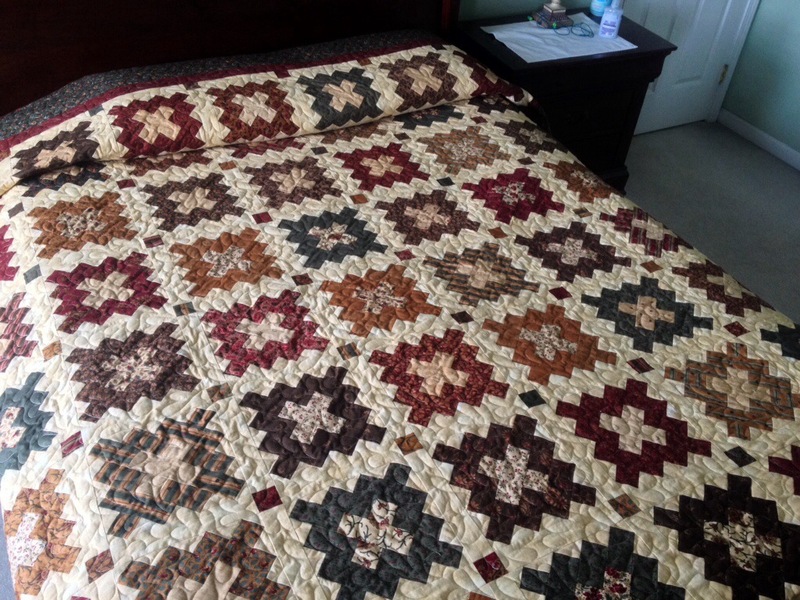 I started this quilt in February and finished it in May of 2014. The Album block is a traditional block that I redrafted to that I could use my die cutter to cut the shapes for the 56 blocks. 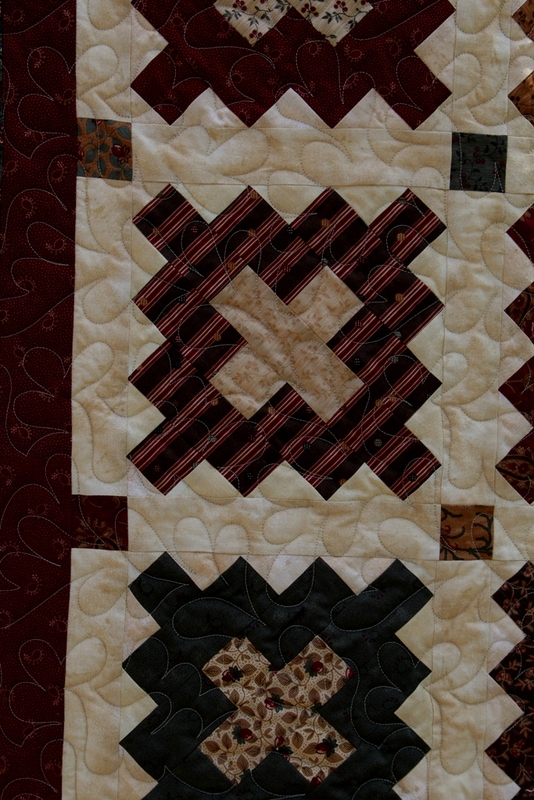 I quilted it using a pantograph by Patricia Ritter called Chaparral. There are over 202,000 stitches in the quilting. It measures 96″ by 106.” It was made for my parents. Shhh!!! They haven’t gotten it yet! This project was on my list for the 2nd Quarter of the Finish Along 2014 hosted by Katy at The Littlest Thistle. My original list of goals can be found here. This is my entry in the Large Quilts category for the Blogger’s Quilt Festival hosted by Amy at Amy’s Creative Side. 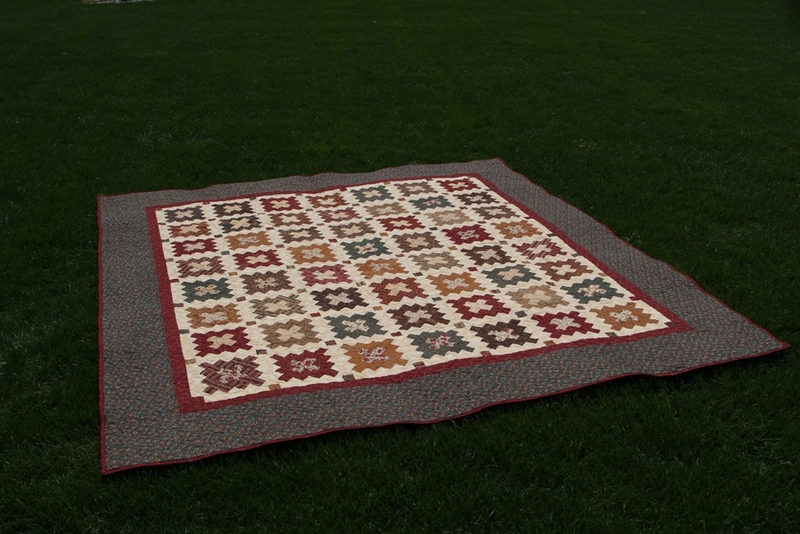 Go see all the other quilts and win prizes from all her great sponsors! Linking up with Amanda at Crazy Mom Quilts, Sarah at Confessions of a Fabric Addict for Can I Get a Whoop Whoop?, and Richard and Tanya for Link a Finish Friday. 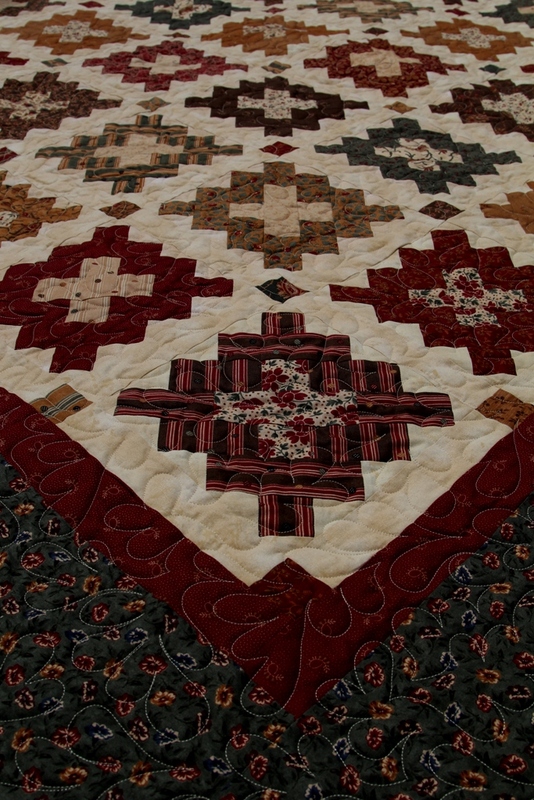 This entry was posted in Bed Quilts, FAL 2014, Finishes. Bookmark the permalink. 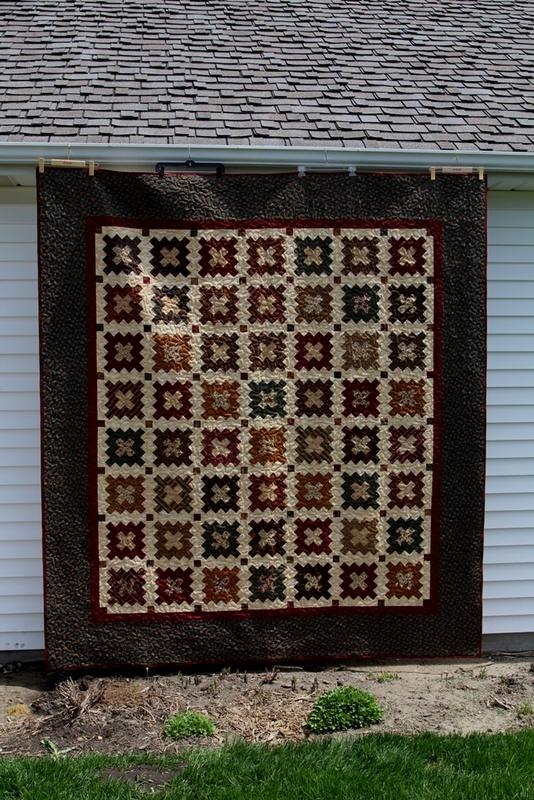 13 Responses to Finish it up Friday, Q2 FAL 2014 and Blogger’s Quilt Festival! It looks very comfortable on your bed…are you sure it has to go away? Your parents will love it, I’m sure! Beautiful job – I’m sure they’ll love it! I like the cornerstones in this one, I’ve not seen that before. 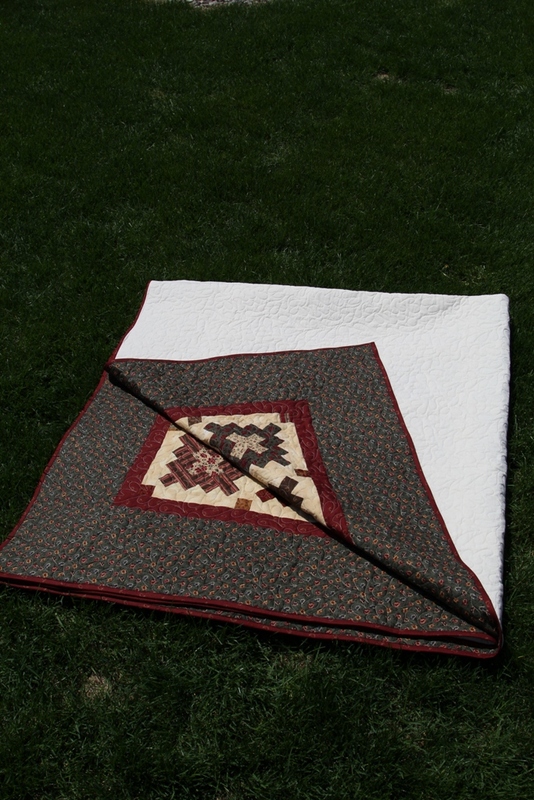 A muslin backing makes a quilt an instant classic. Your parents must love it!! Great quilt and awesome quilting!! Wow that must have been a lot of work. It is a big beauty! Beautiful… I think your parent will be very, very happy when you give it to them. This is a great quilt! Love it! What a beautiful quilt! Great color choices!! beautifully worked and great colors. i’m sure it will be loved for many years!